I have received an calendar entry over a few days. I would expect that it is shown on top only as an event. The google calendar is doing this (see first screenshot) but the add on calendar is like filling the whole day with the entry which gives me much less overview on the entries (See second screenshot. can the add on calendar be tweacked to show the same entry as the original google calendar? by the way: is it possible that the google calendar is also showing the dark theme as the add on calendar? Thanks for the screenshot, so it appears there is a discrepancy, i'll add it to my queue to investigate, but at first glance it seems the issue occurs because your multiday event as it not an all day event but an event with an starttime (21:00) according to your screenshot. 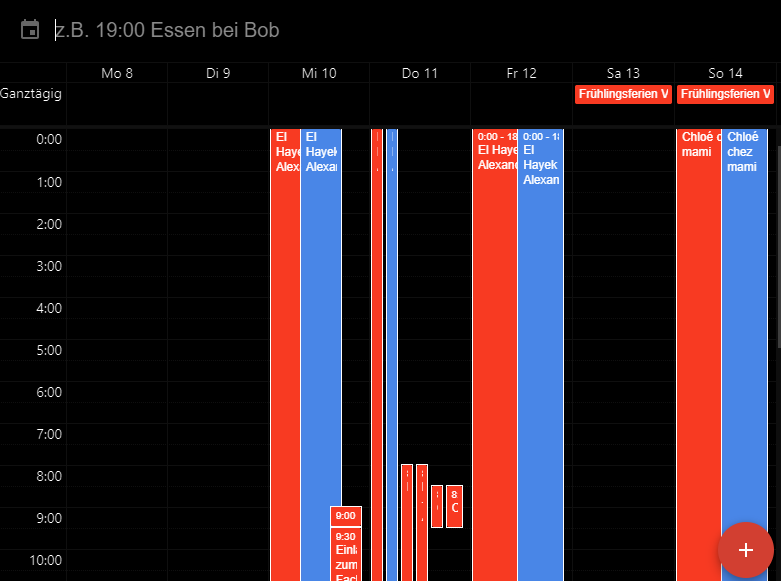 All day (with no starttime) should appear as they do in google calendar. For dark themes in google calendar, interesting suggestion, but i recommend looking through the extensions on the chrome store, i believe there are quite a few than specifically do that.